We have had the results of the honey survey and we would like to thank all those members who took the time to complete the questionnaire, it is important that we monitor what is happening to the honey bee and this is a guide line to tell us how the bees are managing through the year. Diane Roberts also did a marvellous job of promoting this to the media and we have had a fantastic coverage throughout the UK with over 298 TV and Radio stations spreading the news. All good for letting the public know of the value of honey bees to the UK economy. I was asked this question a while ago and had to think about it because every day we are active with one thing or another and it all seems to blend in with the office staff and outside agencies. We have achieved some developments this year and to name a few here is my initial list, forgive me if I have missed mentioning some items. One of the important things is the development and publication of the Special Issue books, many branches use then for their beginners and throughout the learning process for beekeeping. They are easy to read and concentrate on a single subject and not expensive at all. We have also during the last few years reduced our costs, on professional services and Insurances and we have maintained those savings and improved them slightly again this year. There are improved communications in place, all calls are now recorded and the telephone system is now helping to direct calls to the correct person rather than waiting to be transferred. The new School Visitors pack was completed by Sue Webster and was available at a discounted price at the Spring Convention. Educational material has been improved, the Healthy Hive Guide, Bees in the Curriculum, concentrated courses for General Husbandry and Advanced Husbandry over the past two years and we are planning to make Queen Rearing one subject for concentrated efforts to pass on this knowledge. There are more training courses and we believe that we have managed to give a better content to each course. The offices have been redeveloped so that the staff are not overcrowded and they now have their own space in which to work, this has resulted in a much better atmosphere in the offices much to everyone’s delight. The redevelopment of the Apiary at Stoneleigh is still in the planning stage, but work is going on as I write, we are hoping that in Summer 2019 work on the project will start. There is the additional build to the office building to include Disabled toilets and a cloakroom for when we are able to invite visitors to the site. We also have an improved accounting process, it is still in development and Sarah Laidler who is now our Management Accountant, a full time position that is proving to be a great asset and we hope to be up and running with better reporting processes in place by the end of 2018. Research has been given a shot in the arm with Pam Hunter, she already has five scientists working on our behalf and she keeps an eye one every development to make sure we are getting the best out of our contributions. Then we come to the important news for members, Capitation, we have managed to maintain a surplus again this year so there will be no need to ask for an increase in Capitation again. I am sure you will all appreciate that small piece of news and the effort that has gone into keeping costs down. 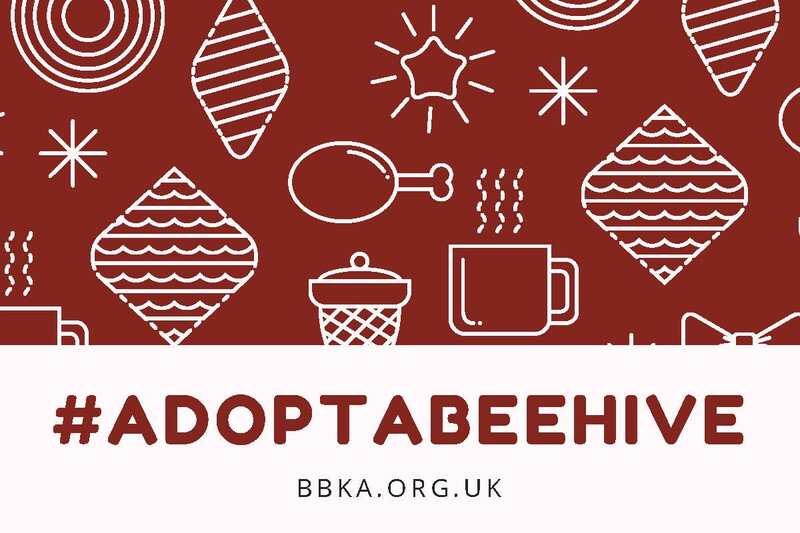 On to Donations etc., George Brown has done a wonderful job this year and has exceeded his target, I have to say he is not sitting on his laurels, he is after more funding to maintain the BBKA and to fund research into all things important to Bees and Beekeepers. Finally, Adopt a Beehive is a very popular, commodity it is the gift one can give when the recipient seems to have everything they need and you are struggling for ideas for Birthdays or Christmas. Thanks to the work of Margaret Murdin and George Brown, Suttons Seeds who now sponsor us will also offer the Adopt a Beehive through their shop for us. Well that’s the end of the things I can remember at the moment, but we are always looking to improve our services to members, in education and involvement in research. If you have any ideas where you think we can make a difference, please let me know. 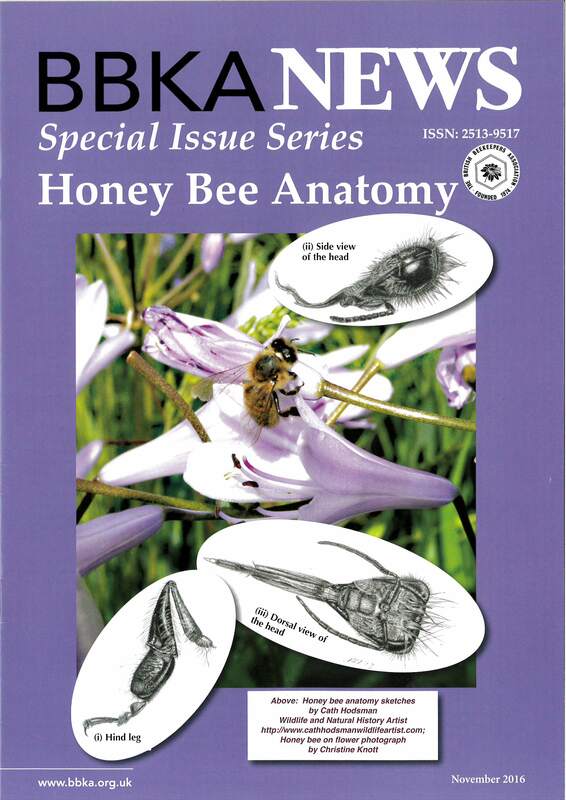 Having featured Feeding and Flower Families last month, this months’ Special Edition is Honey Bee Anatomy. Because over Winter with no bees to tend to now is the time to learn more about different aspects of beekeeping. Take up a new challenge and have a look at local courses, there is some excellent information in this book to teach you about what you can do with a microscope. Again the cost is £4.00 and there are 20 excellent pages of information kindly provided by Ian Stell. These are available from the BBKA direct or through your link Trustee, this would save you the cost of postage and you can catch up with the latest BBKA news from your Trustee at the same time. This took place from Wednesday 24th October to 27th October 2018 and from what I have heard it was a resounding success, good lectures and trade stands and it was as usual very well organised and certainly well attended. Because I have recently had foot surgery I was unable to be there this year as my mobility was not good at all, hopefully when my foot is healed I will be up and about as much as ever. I have to say that I missed being there and meeting more members to hear what they had to say about how they thought the BBKA is performing although other trustees who were there said there were favourable comments, so thank you for that. We do try very hard to give you a good service and to be open about what we are doing, keeping you up to date with actions and events as soon as we can via this monthly letter. Our four academic groups who have received funding for research have all made good progress and have given us reports. These will be published in BBKA News in December. In addition all four groups will be presenting their work at the Spring Convention, please do support this event and come and hear what they are doing. If any Association likes one of the topics especially, they may like to perhaps give some funding for that particular project. The projects cover a wide range of work, encompassing disease, biologically based field studies, and two technological based projects. Prof. Steve Martin (Salford University) is continuing his studies investigating whether there is any tolerance to varroa evolving in UK honey bees. This centres around whether there are high recapping rates and/or a low mite reproduction rate. Dr Rinke Vinkenoog (Northumberland University) is investigating whether there are differences in the foraging behaviour between urban and rural honey bees in urban and rural areas in North East England. In addition the group is studying the range of pollinators visiting the forage; this includes bumble bees, solitary bees, hover flies, butterflies and other insects. This has produced some interesting and in some cases, surprising results. Both of the other two groups, led by Dr Clint Perry (Queen Mary University) and Dr Michael Ramsey (Nottingham Trent University), are using very modern technology, one to monitor what is going on inside the hive, the other to monitor bees entering the hive. Michael Ramsey is using inexpensive (<£1 each) vibrational sensors, called accelerometers, to monitor what happens in the brood chamber in a non-invasive manner using Raspberry PI computers. Clint Perry is developing a less expensive type of method, monitoring bees entering or leaving the hive. He is using QR codes on the thorax of the bee so that they are registered as they enter. This will allow more studies to be carried out on the development of the colony. The EU PoshBee project has progressed and members from Kent and the environs have come forward to volunteer their hives for the apple orchards in the spring. There will be eight sites, four in organic orchards and four in conventional orchards, each with three hives. The beekeepers will receive a fee for loaning their hives and they will monitor them during the season. The University staff will be collecting a range of samples from all colonies, including for example, bee bread, wax, pollen, and in addition they will be surveying the forage around all of the sites. This experiment is being run in eight countries, commencing Spring 2019. I have been asked to let you know that the Safeguarding Policy is now on our web site so that you can download it. The office has received many calls for this so it is good to be able to say, here it is all finished for you. You will also find this assessment on the Web Page, Julian Routh has kindly prepared it and we are now able to offer it to you should you need it for your own honey show. The BBKA Spring Convention at Harper Adams University, Shropshire, TF10 8NB; 12-14 April 2019. This is THE BBKA educational event of the year. The Spring Convention Committee are busy planning another great programme of lectures, workshops and seminars. Accommodation and meals are available on-site and exhibitors have started requesting their preferred stand spaces for the Saturday 13th April Tradeshow. 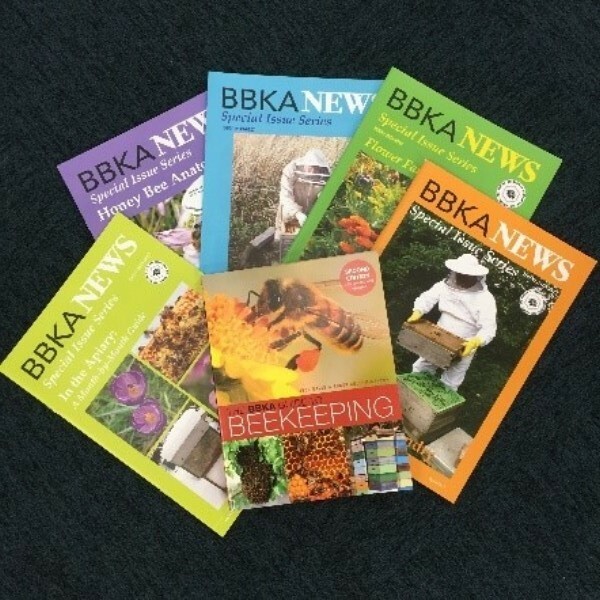 Thinking ahead to the New Year and the ‘Introduction to Beekeeping’ courses you will be running – you may want to purchase a bulk order of some of the BBKA Special Edition Series Booklets or the BBKA Guide to Beekeeping 2nd Edition book. If so please give us call on 02476 698620 – we can take your order and bring it with us to the ADM for collection – this cuts out the postage costs. All items must be paid for by either credit/debit card when placing the order. We will be taking some items to the ADM but must be paid for with cash as we will NOT be taking a card machine.